Ask A Plumber: When Should I Replace My Toilet? | Premier Plumbing Inc. Beyond the aesthetic of the toilet itself (a toilet can take a lot of abuse over the years), there are a variety of factors that you can use to determine whether it’s worth the money and time to repair or whether it’s time to replace the whole darn thing altogether. Do one or all of the following apply to you? Not sure? Give Premier Plumbing Inc. a call and talk to a certified plumbing professional today! 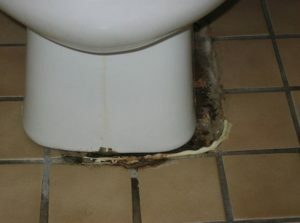 A lot of older toilets can have difficulty flushing fully and completely down the drain. Only getting a half flush? Getting backflow that’s filling up the toilet despite a less-than-large flush? Do you find yourself plunging the thing more than once a week? If this sounds like you, it may be time to replace your toilet. Not only will a new toilet flush without event, it will probably help you reduce your water usage meaning a smaller carbon footprint and more money in your bank account! DID YOU KNOW: The Energy Policy Act of 1992 mandated that all toilets sold in the United States must use no more than 1.6 gallons per flush. After several trips to Lowe’s or Home Depot and countless hours spent researching online you have probably come to find that though a toilet may look simple on the outside the inner-workings are actually quite complex. Between the handle, the flange, the shank washer, the flush valve gasket, the overflow pipe, refill cup, hose clamp, refill tube (the list goes on…) there are a lot of parts and pieces that can compromise the entire operation of flushing and filling properly. 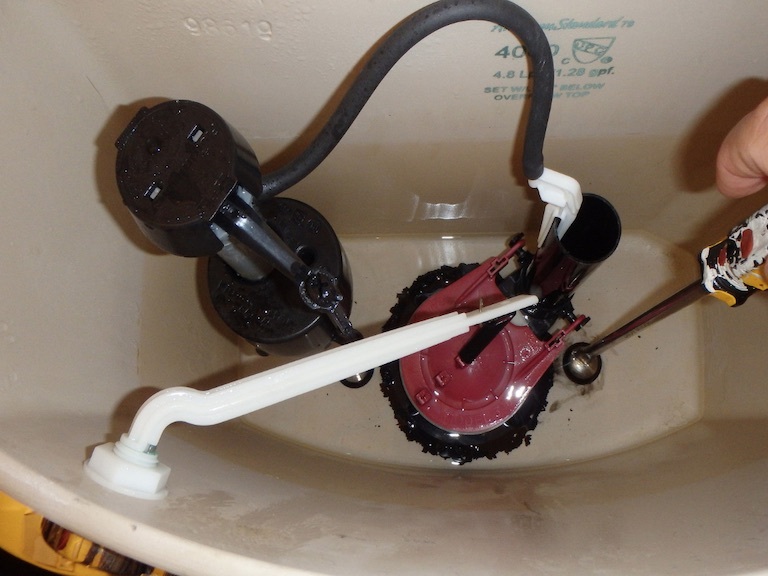 If you have tried and failed to repair multiple parts of your toilet it may be time to call on an expert for help. The average person flushes a toilet around 5 times a day. 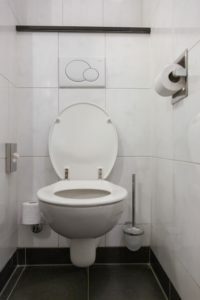 Over the years, the wear and tear on a toilet from constant use can not only compromise the inner-workings of the toilet but can also lead to hairline cracks in the exterior of the toilet itself. Small cracks may seem harmless to the eye, but at any moment the right amount of pressure can turn a seemingly tiny problem into a disastrous flood of water when you least expect it. Because porcelain is a somewhat brittle material, it’s important to keep an eye on your toilet (both new and old) to ensure that no cracks are present. If you do end up finding a crack, it is always best to be proactive and replace the toilet itself before it busts through all the way. Where a crack in the tank (upper section) would be considered dire, a crack in the bowl may be less serious and may not need immediate replacement. Just make sure you are keeping an eye out for any water that may be escaping or leaking onto your bathroom floor! FREE QUOTE: Talk to a Premier Plumbing professional about your toilet situation, find out if you need a replacement, and get a service quote over the phone easy as 1, 2, 3!